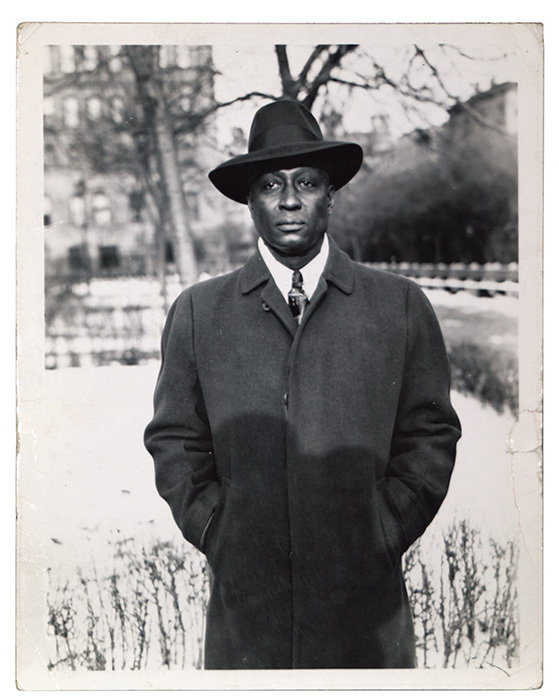 Portrait in New York, in Lead Belly’s final days, 1948-49. 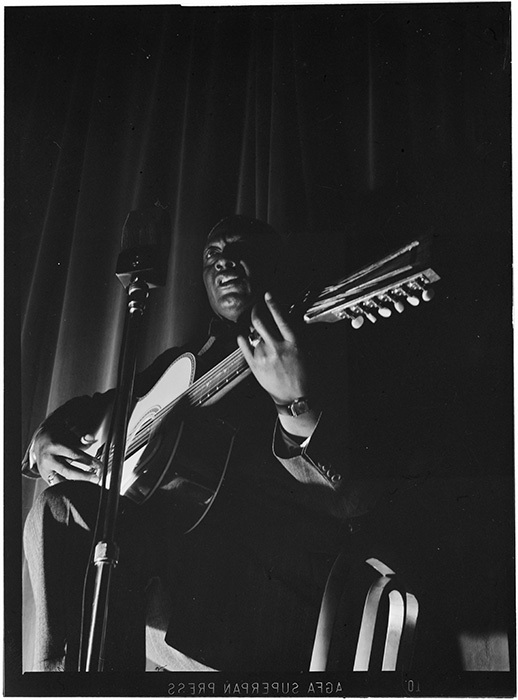 Photo by Dr. Richard S. Blacher, courtesy Smithsonian Folkways and Lead Belly Estate, All Rights Reserved. Photo by William Gottlieb, courtesy Smithsonian Folkways and Library of Congress. 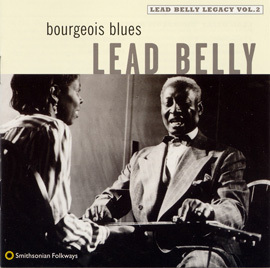 Courtesy Smithsonian Folkways and Lead Belly Estate, All Rights Reserved. Lead Belly in Wilton, Connecticut, 1930s. 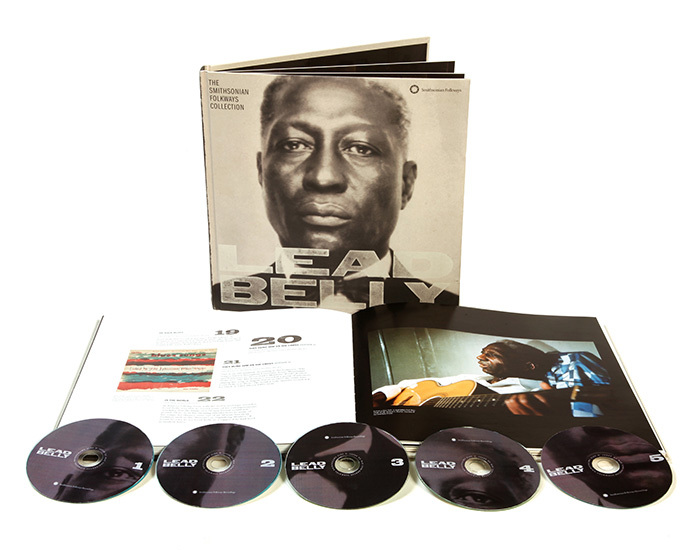 Lead Belly: The Smithsonian Folkways Collection, the first career-spanning box set dedicated to the American music icon, is a 5 CD, 140-page, large-format book featuring 5 hours of music with 16 unreleased tracks. The limited-edition poster and t-shirt package has sold out. 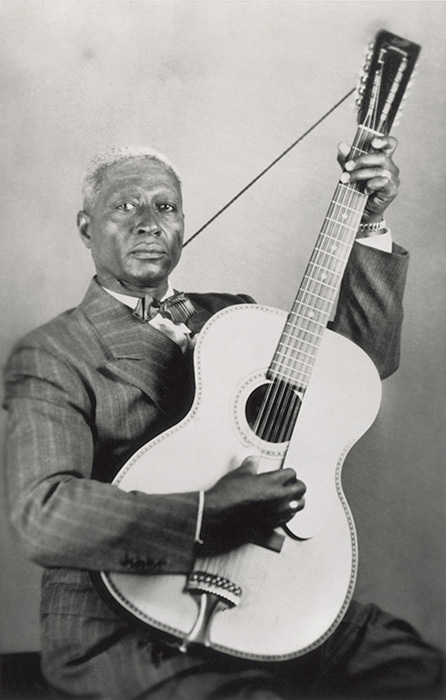 Lead Belly is “the hard name of a harder man,” said Woody Guthrie of his friend and fellow American music icon who was born Huddie Ledbetter (c. 1888–1949). 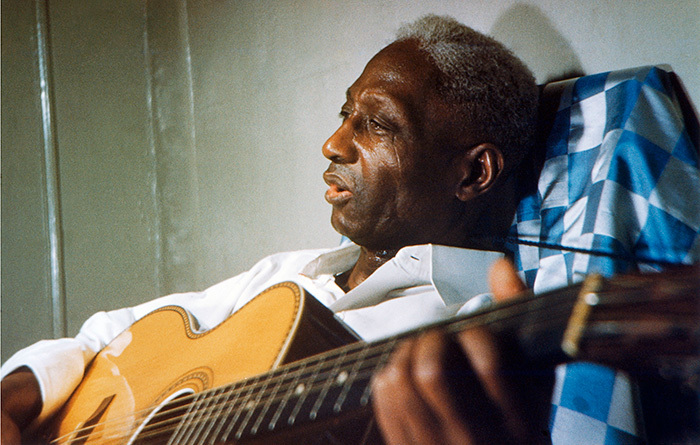 From the swamplands of Louisiana, the prisons of Texas, and the streets of New York City, Lead Belly and his music became cornerstones of American folk music and touchstones of African American cultural legacy. With his 12-string Stella guitar, he sang out a cornucopia of songs that included his classics “The Midnight Special,” “Irene,” “The Bourgeois Blues,” and many more, which in turn have been covered by musical notables such as the Beach Boys, Creedence Clearwater Revival, Van Morrison, Nirvana, Odetta, Little Richard, Pete Seeger, Frank Sinatra and Tom Waits. 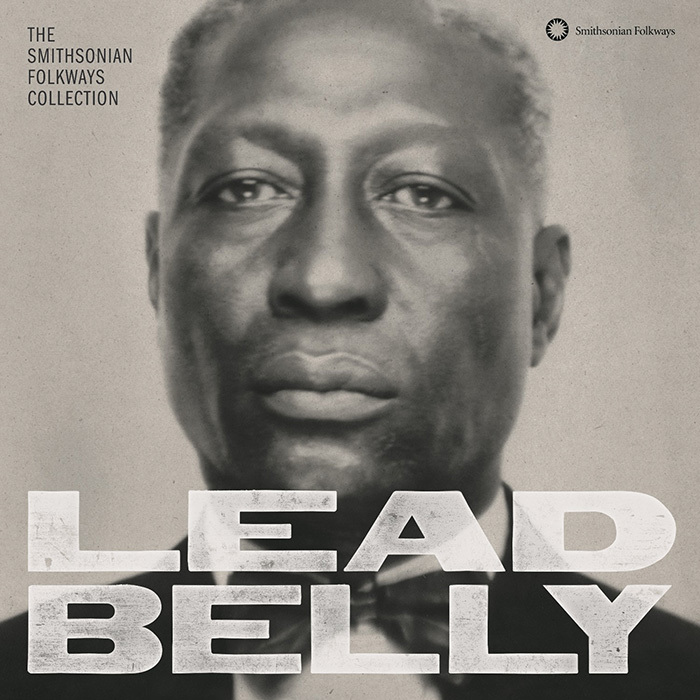 Lead Belly: The Smithsonian Folkways Collection brings us the story of the man as well as the musician. 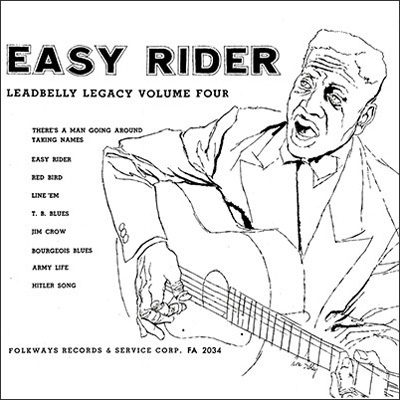 5 Discs, 108 tracks (16 unreleased), 5 hours of music, historic photos, extensive notes, and 140-page book. 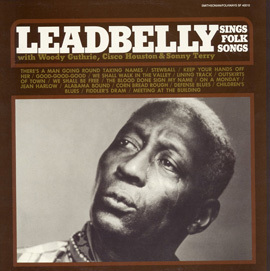 Designed by Fritz Klaetke (Visual Dialogue), GRAMMY-winning art director for Lead Belly: The Smithsonian Folkways Collection, this unframed, 16” x 20” poster is individually numbered out of 300 and printed on high-quality paper with matte finish. The unisex t-shirt is printed on 100% cotton. 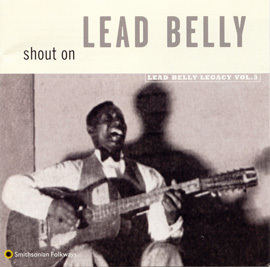 This project was produced in coordination with the Lead Belly Estate, The John Reynolds Collection/Lead Belly Society, and the National Museum of African American History and Culture. 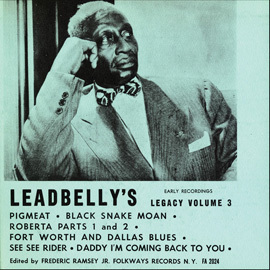 Related Recording: Lead Belly Where Did You Sleep Last Night?